Ever heard that peer pressure is a b*tch?! Well, it kind of is. 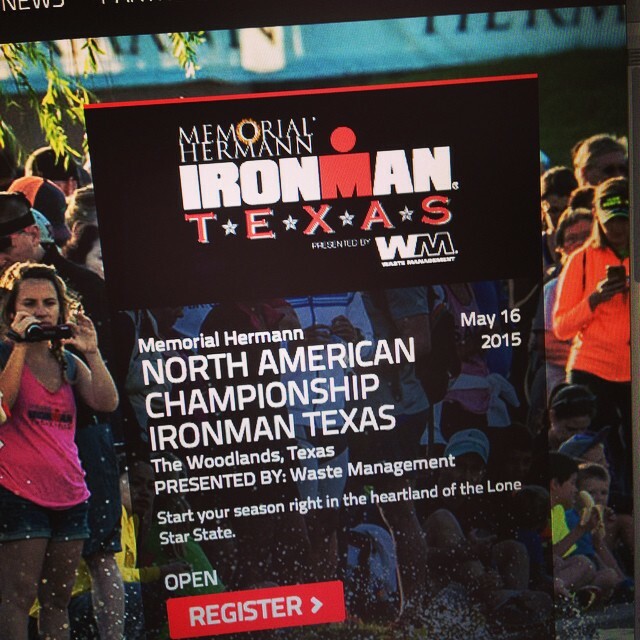 Dustin and I have been kicking around the thought of Ironman Texas. Well, I was because I didn’t get to do Brasil with everyone this year (we have a group of friends from Ohio and Boston that we click with on this crazy stuff!). A group message started between me, Breno, and Dustin (although he was at home napping) a little over a week ago and Breno can be pretty persuasive when he wants to be. Needless to say, Dustin woke up to a message string ending with “sounds good, I’m in”. I can only imagine what was going through his head but he probably shook it and said okay because he has to be out there! Fast forward to this week, “WE’RE IN!” Breno signed up last week. Caitlin signed up earlier this week. And Dustin and I signed up this morning! I’m excited, nervous, and realized my off-season just got pretty full. Goals going into this is to have a better race than my 16:31:13 in 2012. Breno said my goal should be sub-12… we’ll see what happens this off-season. I have 2 marathons in January so hopefully that will only aid me on the run course. I will also wear socks for this run. Never again will I not wear socks at this distance – I do not want bloody Newton’s again. Dustin had an amazing race in Brasil with an 11:36:30. I look for him to goal up at a sub- 11:30, but I guess he’ll reveal that later. What big races are you looking forward to in 2015? New Man on da Block… Welcome Dustin! We did it in ’12 too! 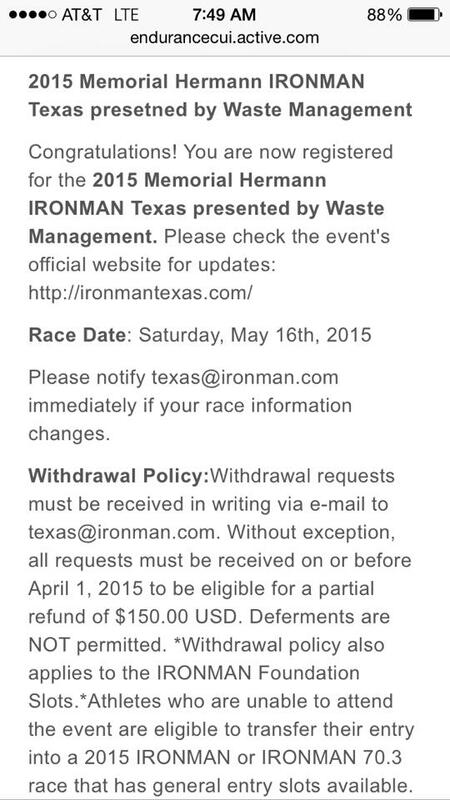 And it looks like Puerto Rico 70.3 as a warm up! It’s gonna be a fun season! !